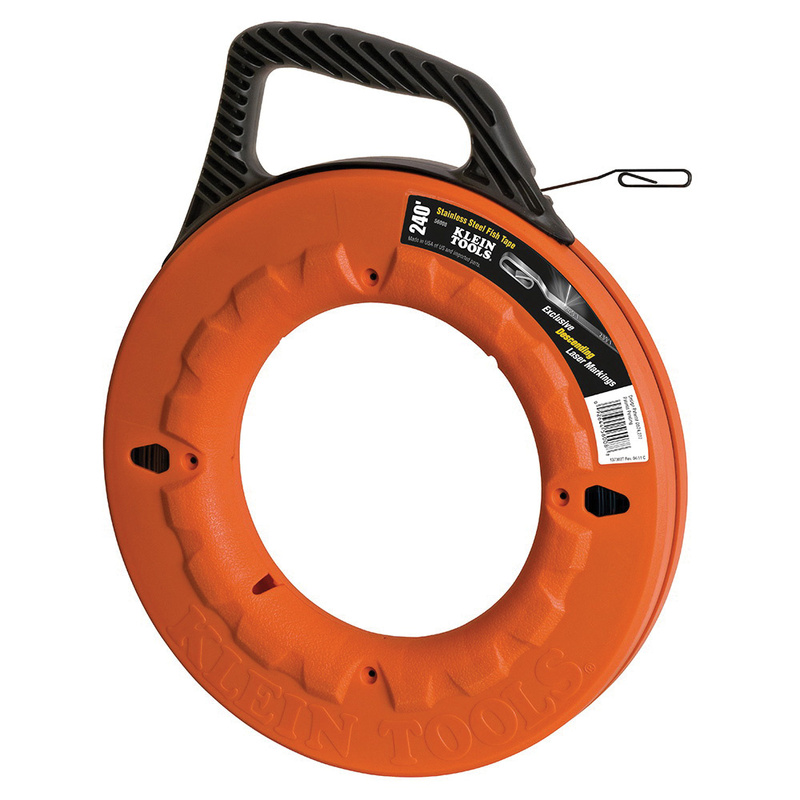 Klein Tools Fish tape measures 240-ft x 1/8-Inch Dia. This 0.062-Inch tape has stainless steel construction for added strength and durability. It features impact-resistant polypropylene case that has a 13-Inch diameter.